Whilst the daylight streaming in through the open doors illuminates this decommissioned Siemens switchgear cabinet well, the rest of the corridor and the rooms behind are pitch black. To the left, a doorway disappears into the battery room, whilst a second doorway on the right, leads into the dark interior of the annex. 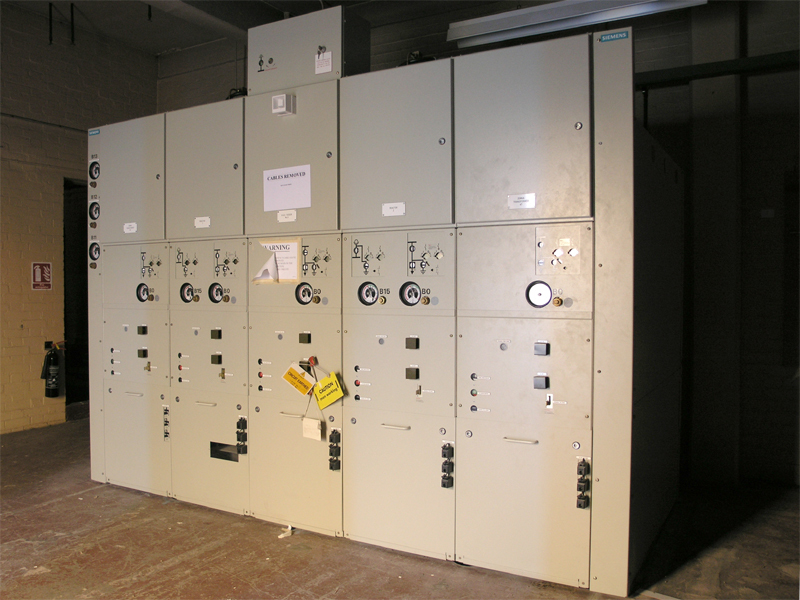 Siemens switchgear in the southern upper level of the annex.